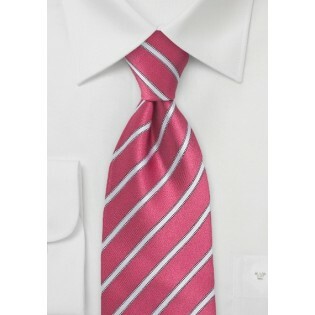 This bright pink tie will add some fresh air into your summer wardrobe. 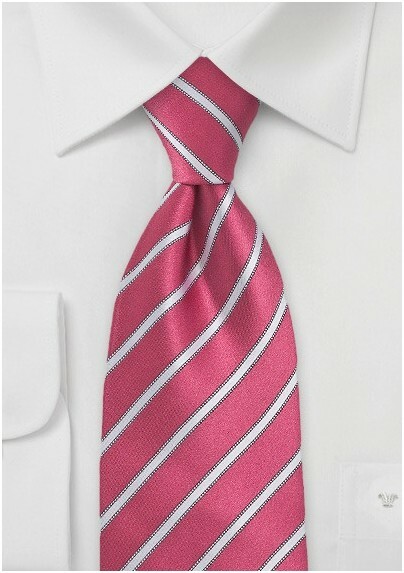 Bright in color and elegant in design, this tie is the perfect choice accessory for any summer festivity. The tie featured here is made in kids length - perfect for boys up to the age of 11 years. For tall kids and adults we also offer this exact matching tie in regular size (please see below). Handmade from 100% woven silk.